Hooray! How exciting! The girl who never wins anything, won a giveaway during Sew Grateful Week! The lovely Cation had several things to give away during the week, and I was lucky enough to win this! It is very 80's I know, which is not my usual style at all, but I love the bias stripe version, and can really see this as a casual summer dress (ideally on a hot, sunny beach, but in my case it's most likely to be Portobello instead...), with some white canvas Converse, maybe? But look at what else she sent! The pattern, a lovely Thank You card (just look at that illustration on the front!) and a vintage pack of seam binding in a gorgeous willow green colour. 3 yards for 19 cents! 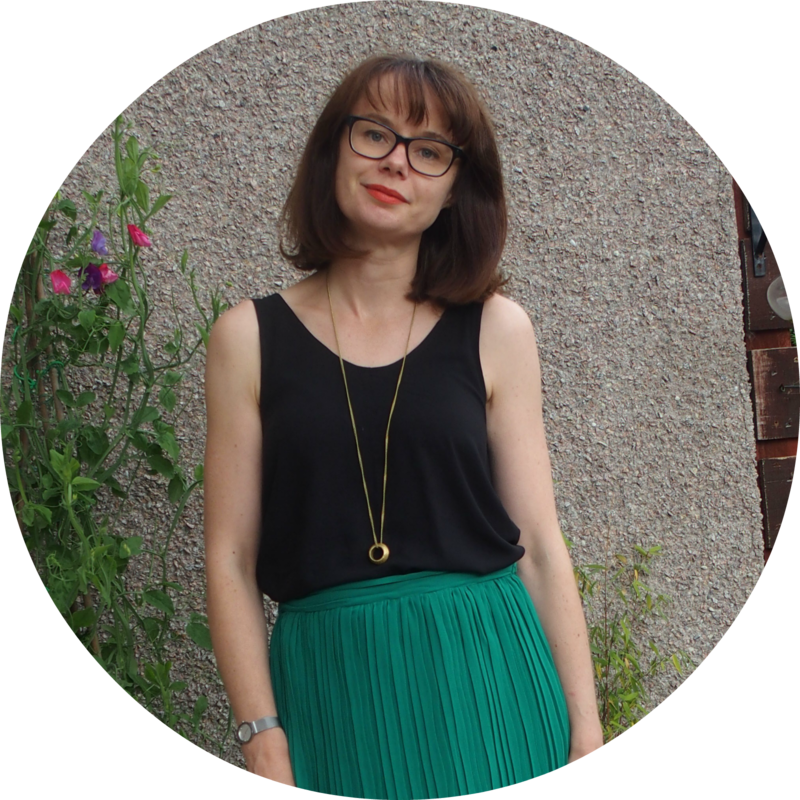 Green is my favourite colour (hence my blog name! ), and I recently discovered the joy of seam binding, but I'm not sure I actually ever want to use it - the packaging is just too fabulous! The halogen lights in our living room make it physically impossible to NOT cast a shadow! ... a little drawing of Walnut, Cation's cat! How cute? Small boy was particularly taken with this! Isn't it lovely that the mornings and evenings are getting lighter again? It was light this morning when we left the house, and light still when I picked Small Boy up from nursery. It makes such a difference to my mood! And the snowdrops and crocuses are starting to come out. Winter is nearly over! The more eagle-eyed of you may have noticed a few new buttons on my sidebar! 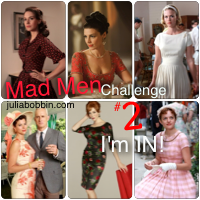 Yep, I have signed up for Mad Men Challenge 2, the Elisalex sewalong AND House of Pinheiro's International Craft Swap. I may have over-committed myself, slightly! However, I have a cunning plan... I talked about my Mad Men inspiration and thoughts here. 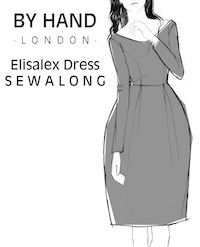 My dress will be based on the Elisalex (bodice and sleeves at the very least), so that, in my opinion, also qualifies it for the Elisalex sewalong! 2 down, 1 to go! I have no idea what I'm going to do for the International Craft Swap. I don't really sew much apart from clothes, I don't do other types of crafting (can't knit or crochet). And I never sew for anyone other than myself! But I love the nautical theme, and am tempted by the thought of getting something shiny and new through the post (just hope my swap-ee isn't too disappointed by my effort!). I'm going to a quilting show this weekend, so hopefully that will provide some inspiration. Failing that, there's always Google and Pinterest! It's exciting though. I haven't made a lot of progress with any of my projects this past week. I spent a couple of evenings trying my coat muslin on again, to check I really was happy with the fit (I am) and then cutting out my lining and interfacing. I was going to start cutting my fabric, but of course need to pattern match and need to be sure my fabric is absolutely straight, so spent about an hour, tacking/basting the folded fabric at about 40cm lengths to ensure the stripes stayed straight. I then played around with laying the pattern pieces, but gave up as it was late and I want to make sure I do everything as perfectly as possible on this project. I haven't yet gone back to it. Poorly lit pic of my lining pieces cut. Last night, however, I wanted to do something, but was tired (an 8 children/5 mum playdate/coffee session yesterday afternoon - including one runaway child (mine) - made sure of that!) and wanted to do something simple, so I traced my Elisalex bodice and sleeves pattern pieces and cut out my muslin. Annoyingly I don't have as much of the muslin fabric as I thought I did, so won't have enough to do the skirt. But I can crack on with the bodice in the meantime. Previously I have not traced patterns and just cut them, but have since realised that tracing makes sense, not only to preserve the pattern (and potentially re-sell, pass on or giveaway) but to allow for changes in size, or more likely, allow for cutting the wrong size in the first place! Since then I've been trying out various different tracing papers. This time I used greaseproof paper, thinking it most like waxed paper that I've read about. This worked well, as it's very easy to see through, but it's quite narrow meaning for larger pieces, you have to tape it together. The other downside was that the usual tape I use to tape e.g. PDF patterns together, masking tape, doesn't stick to greaseproof paper. I used sellotape instead, but of course you can't write on sellotape. Re-drawing the neckline. You can just see the vintage pattern piece underneath. I changed the neckline of the dress by tracing the Elisalex bodice, and then laying the tracing over my vintage pattern with the batteau neck, matching up the centre folds and the shoulder seams, and drawing the new neckline on. It seemed very simple, so hopefully this will work. I can't think of a reason why it won't, but you never know with these things (or at least I never know!). "About the side zip/grainline at CB, I don't see the problem in cutting the CB in one on the fold - just remember to remove the seam allowance! The reason that the CB is slightly off grain is basically just to accomodate the cinched waist - extra full hips - tapered hem. But it's no biggie really." I probably could do with all the help I can get on the hips, but I think I will sacrifice that for the seamless back. What do you think? Isn't the online sewing world distracting? I mean this in the most positive way, and I'm only distracted because I let myself be, but... isn't it just? I really enjoyed Sew Grateful week. The number of different takes on each day's theme was so interesting - is it bad that I didn't write that I am sew grateful for my husband for allowing me to indulge in my sewing obsession, permitting me to take over most our our very limited available storage space in the house, for rushing home from work to allow me to rush out to my class, and for dealing with a tantrum-ing toddler as a result of said class ("No want you Daddy! I want Mummy!")? - and the little bit of exposure and additional (some!) traffic I got was lovely! But it was also great to just be acquainted to so many more blogs, that I hadn't previously discovered! This brings with it more inspiration, more "friends", , more hints and tips and more pretty things to look at. The downside, however, is twofold: 1. Even more time spent glued to the Bloglovin iPhone app, and 2. Even more shiny challenges to inspire but also divert me away from my aims. And just as you're packing up the laptop for the night, and getting ready for bed, suddenly you remember you actually own the below pattern, which has a very similar neckline, and before you know it you're digging out patterns at 11pm and then lying in bed, devising plans in your head! The neckline of the vintage pattern (which, along with the back neckline, is the reason I bought this pattern) would work here. I can't find pictures of the backs of the inspiration photo, so I figure I can do what I want there, as long as it's appropriate. 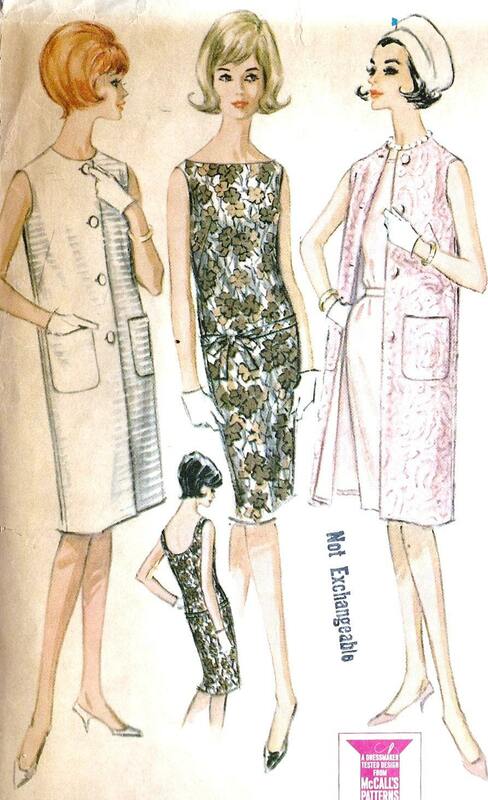 However the vintage pattern is much looser fitting. I did briefly think I could just take it in, but then remembered my Elisalex pattern, which has very little ease in the bodise. The Elisalex also has sleeves which the Joan inspiration dress has, so I figure I could trace the bateau neckline onto the Elisalex bodice and I have two ticks in the box! The Elisalex has a back zipper but the vintage pattern has a side zipper, which I kind of prefer for this dress. Am I simplifying things, or is it as straightforward as cutting the back piece on a fold and then installing an invisible zipper in one of the side seams? 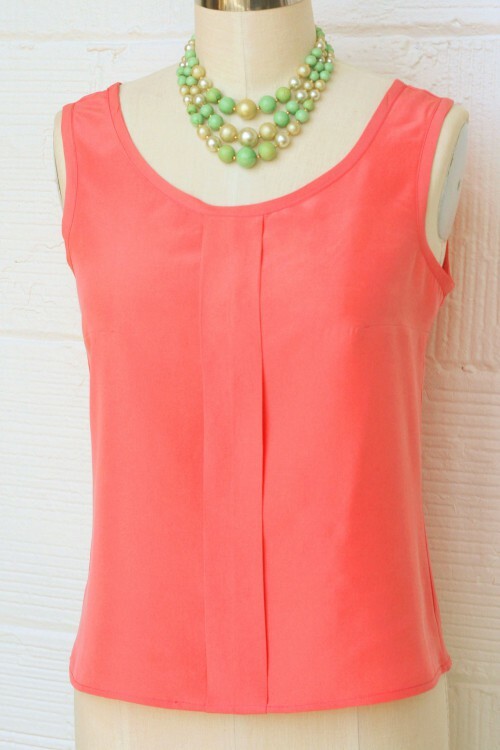 How would that work with sleeves? Now to the skirt - the Elisalex has a tulip shaped quite full skirt, but Joan's looks more straight in shape. 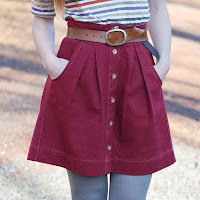 I am wondering if I could use either the Charlotte skirt, or this DIY Couture tulip skirt (which is more pencil at the hem) instead. I kind of like the idea of the tulip shaped pencil skirt as this will give me the illusion of Joan's hips, which I do not possess. For fabric, I'm thinking a cotton with a slight stretch and a slight sheen would be good. I'll go floral if I can, but am not too bothered. This would definitely be an interpretation rather than a copy! I have only once tried to Frankenstein 2 patterns, which was really just a matter of adjusting the sleeve length and shape, and I managed to do something wrong with the grain then, meaning my seams twisted. So I'm aware I'm probably punching above my weight with this idea, but hey it'll be development! It'll stretch me! And I'll hopefully learn something new along the way (even if it's what not to do). What are your thoughts? Is this doable? Any tips, suggestions or advise? Or should I just forget it and crack on with the coat? Today, Debi is talking about sharing our Sew Grateful projects, and this coincides with my first finished make on the blog! And here it is, my Chevron Charlotte! Why do my legs look so stumpy? This is my Sew Grateful project for a number of reasons. Firstly, I am grateful to my mother-in-law who gave me the pattern for my Christmas this year. Secondly, I'm grateful the girls at By Hand London for being so lovely when I realised I had the wrong pattern in the right packaging. And thirdly I am grateful for my husband's patience during this make, whilst I scattered black threads throughout the house, cursed while I made stupid mistakes and stayed up til 11.30 last night to finish it - and for his appreciative comments once made (he likes me in something fitted! What can I say!). I made some really daft mistakes during this make, like sewing the front on inside out (darts on the outside are not a good look), taking it in too much at the sides and chopping a bit too much off the bottom, so a fair bit of horrific unpicking was required. Normal 5/8 inch seam allowances proved not to be enough (as I discovered too late), as the fabric frayed right into, and sometimes beyond that. This means that I have some very dodgy looking seams (luckily only visible close up). Very shiny bias binding, in blue, which doesn't go with my plum coloured lining! To counter the fact that I cut too much off the bottom, I hemmed it with bias binding. This is something I've not done before, but actually really like the look of. Unfortunately all I had kicking about was some royal blue, shiny bias binding, which doesn't really "go", but it does the job, so I don't really care. I will use this method again though, because a) it looks nice (provided you chose something that coordinates) and b) it had the happy coincidence of reducing what would otherwise have been a very bulky hem. Please excuse the poor quality photos - we have a terrible camera and no natural light on winters evenings! But... I nevertheless do love this skirt. I wore it to work today and it was really comfy and felt quite grown up and glamourous. I do love the look of the fabric and that textured detail, which brings some interest to the plain black colour. It's lovely to finally have a pencil skirt that fits, as I am quite slim hipped proportionally and so RTW versions never do. I'm not convinced it'll be around for long as the material will be very prone to pulls, and I have a toddler who has already ruined all my tights with his velcro fastening shoes. Plus it's a wool mix, the label said dry clean only, and I didn't pre-dry clean, so god only knows how it will respond when I do eventually need to clean it: a day which will come soon due to the prevalence of jammy/toothpasty/cheesy/humousy* (*delete as appropriate) fingers in our household. Straightforward pattern, with really clear instructions, although not sure how a true absolute beginner would get on. I finally have a pencil skirt that fits on the hips! And I do really, really love this skirt! The unhelpful comments from my boys (Husband: "it's too long and too short". Small boy: "it's like a plate, mummy"!!!!). I made this in a size 12 and it comfortably fitted within 1 metre of fabric. To do this, I folded my waistband pattern piece in half and placed that fold on the fabric fold laying it horizontally (length of waistband lying perpendicular to the selvedge). The instructions have the waistband piece laid vertically (parallel to selvedge), which doesn't work with a directional print/weave such as mine, and just uses more fabric. Even a narrower width of fabric (think mine was around 150cm wide) would fit well within 1 metre. As I said, not a biggie, but it might be more difficult for a beginner to figure out. For a British company, why are all measurements imperial only? I do tend to work in a weird mixture of both imperial and metric, but UK fabric shops sell in metric, and it's just a pain to have to work it out (inevitably I buy too much fabric as I just translate yards to metres as 1:1 for simplicity/lazyness). Bias binding as hem tape - really liked this as it reduced bulk and looks nice. Used pins to mark dart location. Liked this method and will use again. Replaced the darts on the lining with pleats, as per Karen's advice. Unsure if this made a difference or not, but it was easy to do, so probably would do this again. Make a more considered fabric choice. Make a muslin - so I don't have to keep re-fitting me every time I make it. May try a centered waistband with zip running through the waistband or no waistband at all. This version has turned out to be very high waisted, but I think that's to do with how I fitted it before I put the waistband on. Again, a muslin would help sort this out. Yes! I really fancy a nice bright version for spring like this, or maybe even a print. Today Debi is featuring online tutorials and free downloadable patterns as part of Sew Grateful week (and has a freebie up there herself - go take a look!). I consider both of these to be completely out of my league. I am a million years off ever creating a pattern that I would deem worthy of giving to others, and I just don't feel that there are any tutorials I can offer that aren't already out there (and probably done better!). 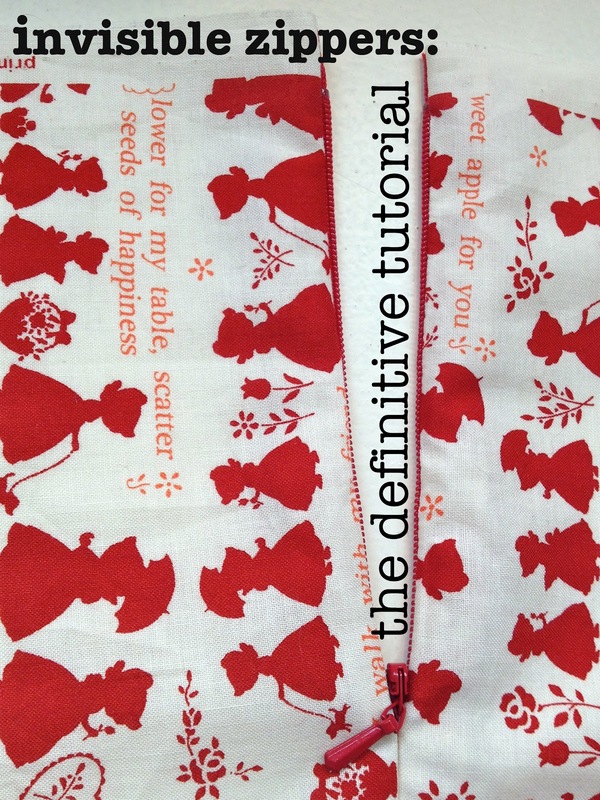 Continuous bias binding tutorial by Colette. I think this is genius. OK, yes you get seams going in different directions, but it produces masses of bias binding with no leftover useless corner bits. It always takes me a wee while to figure out the folding over bit (and I ALWAYS need to consult the tutorial), but once I've got my head round that, and I double check I've measured the width of the bands correctly (perpendicular to the length of the binding, not measuring on a diagonal! ), it's a breeze! Another bias binding one here, this time by Portia, which cleverly uses masking tape to measure the width. This is so clever as it makes measuring and cutting so straightforward and practically error-free. 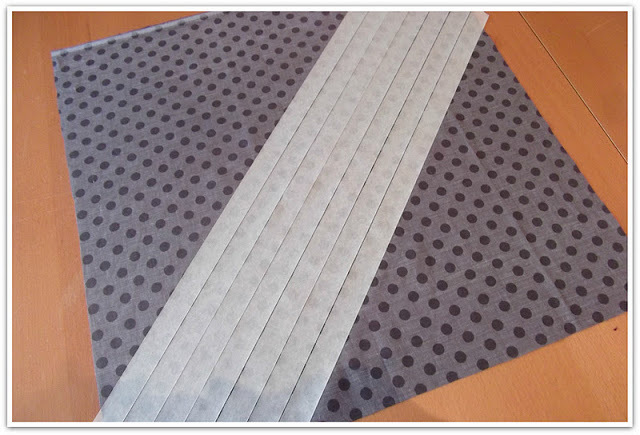 I have yet to try it with the continuous method above, but intend to do so next time I make bias binding. On another note, masking tape is also very handy for taping together printed PDF patterns, as it's less sticky than sellotape, so allows you to remove and re-use it if your pages end up mis-aligned. It can also be written on, if you feel the need to do so! By Hand London's invisible zipper tutorial - I love invisible zips. I've always found them quite straighforward to install (is that the right terminology?) and I think they just look really professional, however when making my Charlotte I hadn't put a zip in for a good while, so referring to this really helped. Finally another By Hand London one and one I'd never thought of before, but loved - how to mark darts with pins! I had varying success with this, as my fabric didn't like to keep hold of the pins, but in theory liked how this worked and will use it again. In terms of free patterns, this is my favourite, another one from Colette, the Sorbetto. I have actually only made this once and wasn't that happy with it, but it was my first downloadable pattern, my first Colette pattern and my first attempt at bias binding. I made the pattern a size too big, used quilting fabric which was too stiff and made my bias binding too narrow. I also felt it was a bit short for my liking, and didn't check before I cut! I have worn it several times, but it needs taken in and the bias binding needs redone (it's fraying). I do however intend to do this at some point, and I love the millions of iterations of this pattern out there on the intraweb. And I do, absolutely, intend to make more of these come the summer (in fact I have a little metre of silk already earmarked for such a project...). I initially started engaging with the online community as a source of inspiration. I often struggled (and still do) with the sometimes dated pics on the front of patterns - I am a shopper of RTW who is drawn to colour and pattern first - and often couldn't see the potential in a lot of patterns. Blogs gave me access to others' interpretation of these patterns, which gave a lot more scope to my sewing and imagination. Seeing bloggers make alterations to these patterns to make them their own, further fired up my creativity and suddently the possibilities were absolutely endless and sewing (already interesting seemed so much more exciting!). I am forever grateful to the online community for introducing me to world of independant pattern makers. Colette, Megan Nielsen, Victory, Sewaholic, By Hand London, Maria Denmark, Cake... the list goes on, and I LOVE these patterns. They are just so much more "me" than most patterns by the Big 4 and the attention to detail in the patterns, instructions and packaging (where appropriate) makes the whole thing so much more enjoyable, not to mention the handy sewalongs! I am often blown away by the kindness, generosity, patience and inclusiveness I encounter on fellow bloggers' pages. So many people take the time to share their knowledge and prepare tutorials, to answer questions and to just provide support. I guess sewing could feel quite exclusive - with all the terminology, kit (that could be perceived as necessary) and knowledge required but all bloggers I have encountered ensure this is not the case and in fact go out of their way to make things accessable and fun! I have yet to meet any of these lovely people in person, but I am hopeful that I will do some time soon. In addition to providing inspiration on patterns I already own or fancy, what I think is incredible is that the online sewing community has actually made me more confident in my own sense of style. Looking at the differing styles of so many people also proves inspirational in that I am definitely less "fashion" led (read "dictated to by magazines") and more led by what I like, what suits me and what I think looks nice. I now look at magazines, Pinterest etc and use them as a source of inspiration, thinking at the same time "I wonder if/how I could make that...", rather than coveting the actual items, and this to me feels very positive. 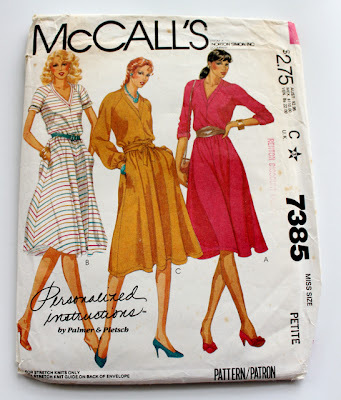 Check out my Pinterest board called Sewing Inspiration if you don't believe me! So, thank you everyone for all of this! I am Sew Grateful to all of you! 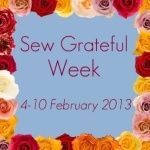 I'm going to try to join in with Debi's Sew Grateful Week, this week. Today is the first day, which is a giveaway. As I don't feel that I have anything to give away, and I don't have much in the way of readers at present, I won't be joining in with this. But if you do happen to be reading this, definitely go and have a look at the other giveaways and offers available - the sewing online community really are a very generous lot! And please come back later in the week, I do plan to join in with some other days (cue big gushy post tomorrow!). I had been hoping to have posted about a completed Charlotte Skirt by now, but things are not going to plan. The pattern itself is fine - very clear and straightforward, particularly with the sewalong instructions - but I have chosen a difficult fabric to work with, which is causing issues. It put me off working on it, but since Thursday is Debi's Post your Sew Grateful project, I am determined to finish by then. This is one of Small Boy's favourite books, and the mass of loose black threads in varying thicknesses really bring Hairy to mind! Still, I have gone back to it this evening, adjusted some seams, unpicked some others and all I have left is the waistband and the hem! Doable tomorrow evening? I think so!